In 2000, when the UN agreed to the eight global goals known as the Millennium Development Goals (MDGs), the relationship between environmental issues and sustainable development was not prominently featured. Today, a wider group of stakeholders understands the vital role that water and sanitation play in the economy, society, and the environment. The process of defining the goals that constitute the 2030 Agenda for Sustainable Development was more inclusive, and the resulting goals are relevant to development concerns facing all nations, including the developed world. The adoption of the 2030 Sustainable Development Goals (SDGs), which define the global development priorities for the next 15 years, lays out a compelling framework for collective action by government, the private sector, and civil society to address social and environmental issues that inhibit economic development and shared prosperity. Of the seventeen new goals, SDG 6 is dedicated exclusively to ensuring availability and sustainable management of water and sanitation for all. The Pacific Institute as co-secretariat of the UN Global Compact CEO Water Mandate will play a pivotal role in the implementation of SDG6. 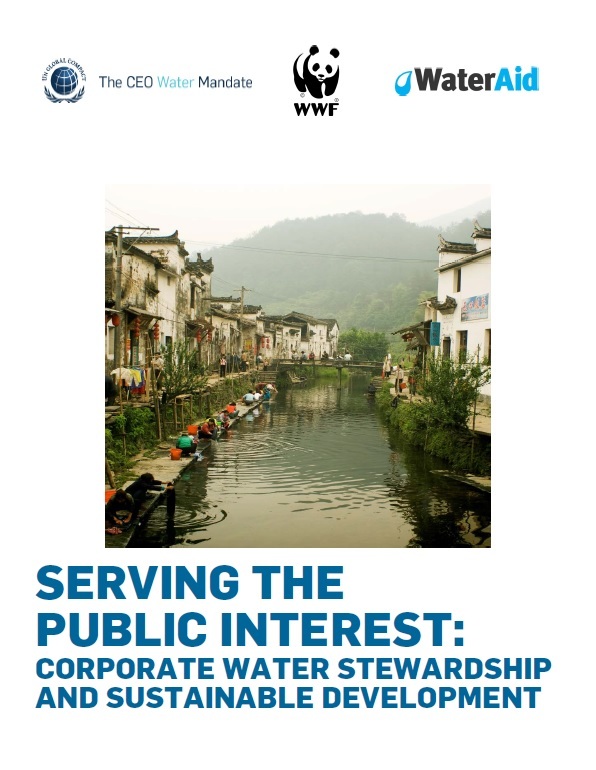 As part of this endeavor, the Mandate, in collaboration with WaterAid and WWF, has developed a paper that lays out opportunities for how the business community can make a positive contribution to achieving the goal. The paper also spells out the potential risks involved in these engagements and presents a call to action for all sectors to play a proactive role in helping to achieve SDG6. We share this paper with you now and encourage you to disseminate it within your networks so that together we can all work toward achievement of this new global agenda on water.